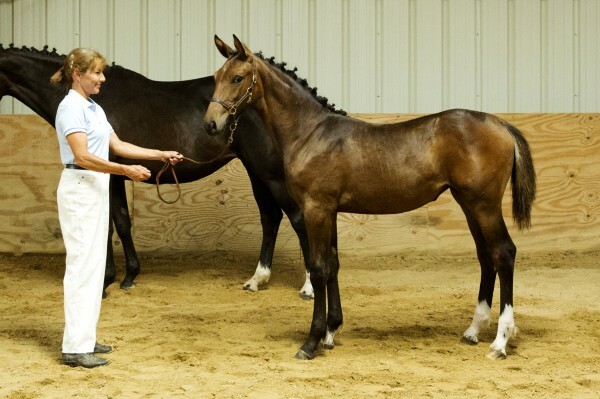 2018- Edenhof’s Diva Royale was Premium and Westfalen Foal Site Champion! 2017- Edenhof’s Premiere was the Westfalen Inspection Site Champion, and Premium German Riding Pony foal! and No#1 Westfalen German Riding Pony filly of 2017! 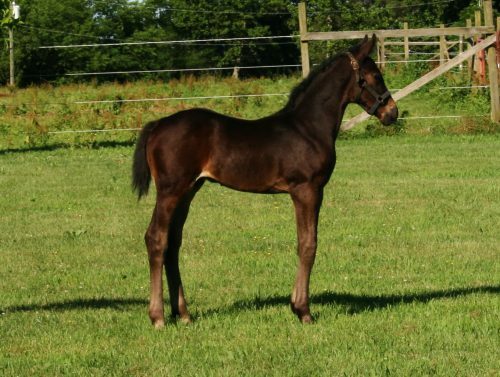 2017- Phineas Bunce was Premium foal and No#3 German Riding Pony colt of Westfalen Inspection Tour! 2016- Fashionne was the 2016 SSA Futurity Winner!Site Champion, Gold Premium foal, and the No#2 Foal for the RPSI Inspection Tour! 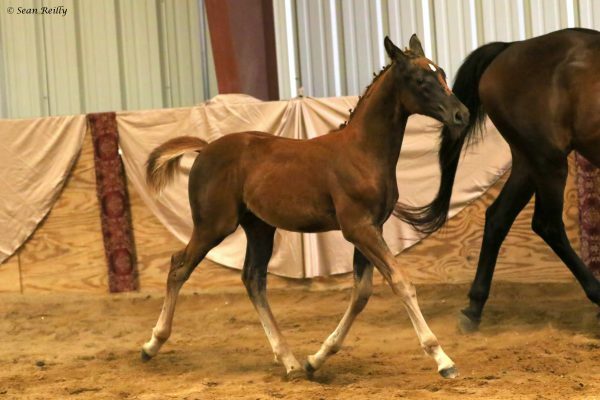 In 2017 she won the USDf AllBreed Award for RPSI Yearling Filly and BITUSA Prize for the 2017 USDF/Breeding Championships at NEDA Fall Festival! AND in 2016 both Boleem foals, Brocade and Bravo! , scored Gold Premium as well! 2015- Silke of Edenhof was the 2015 SSA Futurity Winner! No#1 Foal Overall for RPSI Inspection Tour, NO#1 German Riding Pony foal, and Site Champion! in 2018 Silke earned Premium mare and was Site Champion GRP for Westfalen Keurigs!!! 2018 Westfalen Premium Filly and Site Champion foal! USDF/BC qualified for finals! 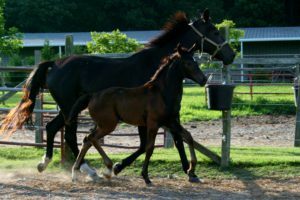 Champion filly, Champion foal, Champion Westfalen IBC at Virginia Summer Dressage/Hits Commonwealth Park June 16/17th 2018! SITE CHAMPION! scoring incredible 9 on gaits! No# 2 foal overall RPSI 2016 Keurig tour! BRAVO! 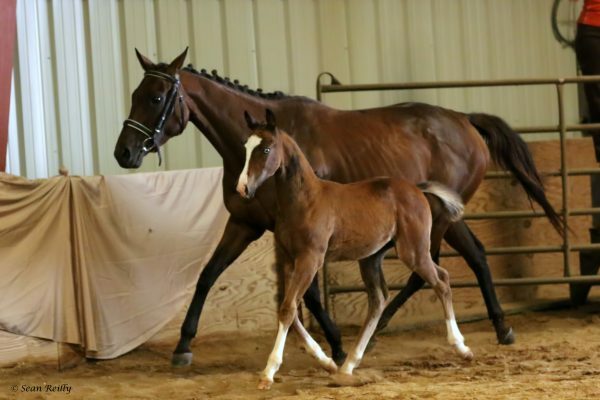 2016 colt – the 6th straight Gold Premium foal produced by our fabulous mare Replikah! 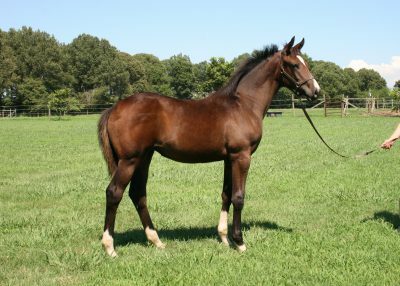 This colt is by the FEI stallion, Boleem, and shows exceptional promise. He combines two virtually extinct superior genetic lineages! That of the Hosteiner stallion, Regulus and of course, those of Boleem who provides The Natural, Ladykiller, and Duruto close up. This very substantial sized, solid boned, and powerful son also sports the quietest, most observant and confident presence. Muscular with a particularly strong topline and canter, he should excel in the dressage arena though he already shows extreme talent for jumping! He scored solid 8’s at his Inspection and was awarded Gold Premium status though only 11 weeks old at the time. This is a very solid riding horse type with no limits! Inquiries welcome! No#1 Foal of 2015 RPSI Overall 8.8 scoring 9 on gaits! 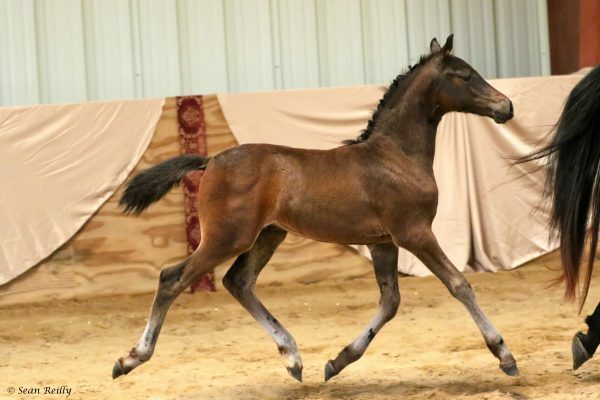 No#1 German Riding Pony Foal 2015! Site Champion and Gold Premium! Druscilla: is out of the amazing Verb. Pr. 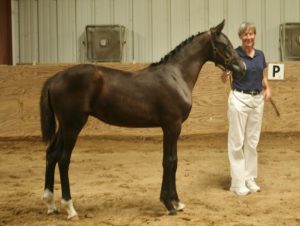 St. Benetar (Hanoverian) by the renown super moving stallion Dream Along(Oldenburg). (Please see their pages for complete pedigrees and photos!) She is a classic, and we are so fortunate that we finally got a filly from this Bolero/Donnerhall and Dream of Love/Corleone combination. She is super quiet and demonstrates superior gaits, boasting both unbelievable suspension and cadence. 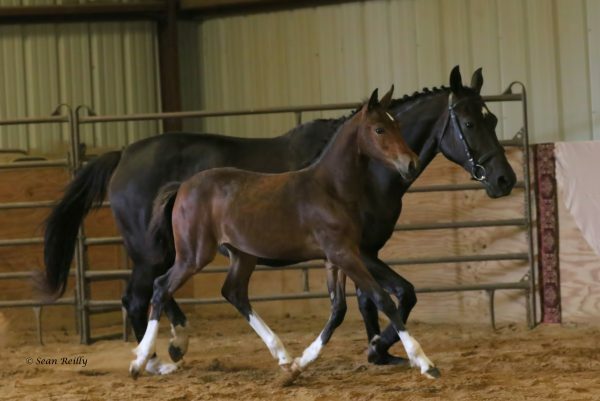 She has lovely conformation and is already a very large girl, yet demonstrates the elegance and breathtaking gaits of the ultra- modern dressage type when she moves. She is very, very special genetic combination and has the easiest of temperaments, lovely suspension, and large expressive gaits!